The sun is shining brilliantly outside my window while robust winds toss trees seemingly without mercy and downright relentless. Inside my feet dangle freely and rather comfortably positioned right over a toasty register unaware of the robust gales outside. As I ponder these mighty winds our beloved city of Troutdale is know for displaying, I’ve come to conclude with great conviction I might add, Chicago could have strong competition holding the title of “The Windy City” if it was ever up for grabs. This little town is proving to be one heck of powerful contender thanks to the east winds whipping through the Columbia River Gorge. If by chance we were in Christopher Robin’s neck of the woods. Winnie the Pooh would call this a “blustery day” indeed. However, my mind is contemplating and pondering more then the breeze that rattled the windows ,but instead what the rest of the day holds. Feeling my spirits being churned equally as the unsettled blasts of winds presently a mere stones throw from my cozy indoor haven . 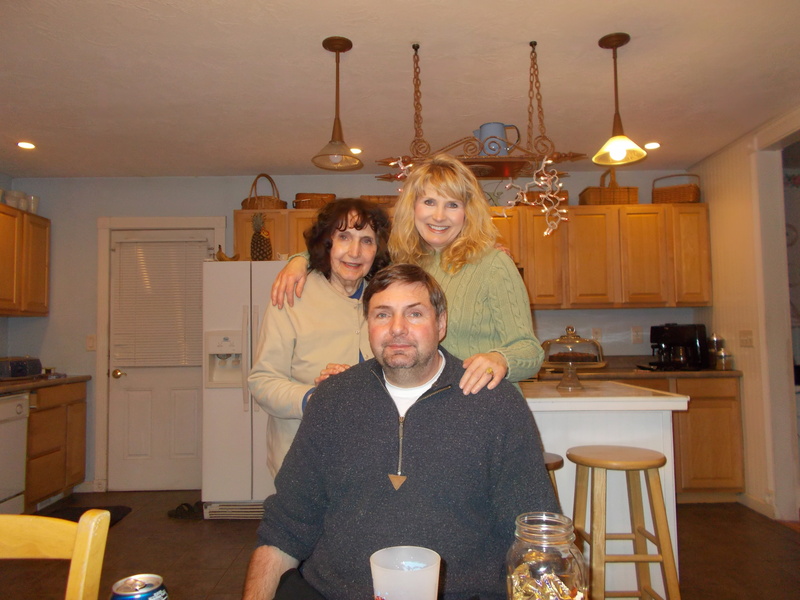 Laura wrote “Blessings ” after a brain tumor hospitalized her husband in 2006 it was a stormy time for them and the road to recovery that followed. When being interviewed by Kevin Davis of NRT she shared, “The song shows that we still have more questions than answers. But there’s a decision that I find God is asking us to make. Are we going to judge God based on our circumstances or are we going to choose to interpret our circumstances based on what we hold to be true about God”? Walking in a temporal world repeatedly asking the why’s tosses my soul back and forth blasting my faith with its’ billowing windstorms. Speaking from experience I have a battered soul to prove it. However, today if I choose to walk again with a determined faith making a sincere conscious effort to take each day as a gift. Knowing full well God’s mercies are new every morning, embracing more completely the here and now with all the messes and heartache that can accompany it. Trying my best to refrain from asking a copious amount of ” The 5 W+ H” of Journalist questions to God… consisting of Who, What, When, Where, Why, How… settling wholly on the bottom line alone. What is that you may ask? If we know who God is, and what are His promises… the When, Where, Why and How with lose prominence. God is Love, God is Just, God is Faithful, to name a few. We can boldly look to Jesus the Author and Finisher of our faith. Whether it’s sunny, windy or both we can rejoice… turning our maze of questions into an a “mazing” trust, *painting grace graffiti on the fences of our limitations and losses. Lord you know how I need you, Your truth, grace, hope and joy. Casting my cares upon you for you care for me. Categories: Uncategorized | Tags: circumstances, eternity, faith, faithful., God, heartbreak, illness, Jesus, Storm, The 5W+H questions, Troutdale, true, truth, wind | Permalink. Rolling up to the stop light, my eyes caught a sign to the left of me which cheerfully read “Lemonade $2 for a 16oz. cup”.followed by “First time stand has opened “. Though shocked by the price it was catchingly framed with pastel colored balloons, a gentle persuasion, swaying in the breeze, wooing parched folks to acquire some refreshments. It brought back fond memories from my first childhood entrepreneurial endeavor. Our home was merely a hop, skip and jump away from the Standard T.V and Appliance store. This store was a virtual treasure trove of discarded refrigerator boxes. Providing unlimited fun for my brother and I to amuse away our summer. Co laboring to lug their large and cumbersome frames home, which we would then quickly transform these cardboard canvases into new creations ignited by our imagination . One day while my brother was playing with his friends, I decided to create a lemonade stand with the recent box we dragged home. First order of business was to cut out a window to hand out these thirst quenching drinks to eager awaiting customers, not that I had a line of them, but in my minds eye I did; envisioning them clamoring to partake of the concocted nectar. Next, was to determine the selling price… happily deciding to set it at two cents per Dixie cup. Neatly stacking them strategically along side the pitcher of freshly made Kool Aid lemonade. a stuffy box and only leaving for short periods of time to cool down from the heat, my thoughts were of shear joy… not a word of complaining… this whole experience was exhilarating! Even though I never squeezed an actual zesty lemon in preparation, it does makes me think of the saying, “When life gives you a lemon make lemonade”. Life can be good at handing us an unexpected lemon from time to time. Presented with these sour orbs we have a choice, to either allow ourselves to become soured and embittered, or to whip up a batch of sweet satisfying lemonade with these disappointments. At times my attitude puckers up to a surly disposition worthy of the bitter fruit I had just been served. Repugnant in my spirit, methodically slow to add sweetness in my thoughts that could change the outcome of this tart and testy intrusion. Jesus shares a powerful truth in Matthew 18:3, “Truly I tell you, unless you change and become like little children, you will never enter the kingdom of heaven”. Children are teachable, forgiving, good humored and full of wonder, while modeling Christ like humility. 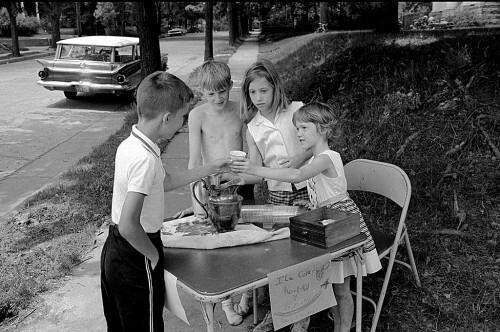 How fitting that for many children their first entrepreneurial business is making a lemonade stand, turning the bitter into sweet and serving cups of contentment. One of countless lessons that can be learned through the eyes of a child. Today I can choose to change my unfitting adult perspective that lacks trusting You with childlike faith. Making a stand to enter into your Kingdom promises that declare, ” You came that they would have life and have it in abundance ( to the full, till it overflows) ” John 10:10. So when the next time life gives me a lemon… I’ll accept God’s transforming promises to turn this lemon into new life… something sweet indeed! Thank you Lord for the power to make bitter waters sweet, to taste and see that you are good when life has left a bitter taste in our mouth’s….that what has been served to us, past or present, does not need to fuel our future. May today be all about the business of Heaven, where it can be lived out here on earth as it IS in Heaven as your word promises. Guide us to be people of integrity with simple hearts endeavoring to love you and to love others as ourselves. Calling all those who are thirsty to come and drink from the wells of living water… NO money required! Lord with your mercy and grace you continually bring to me the aid I need change my lemons into lemonade. Gathering trust and strength in knowing that the lemonade I enjoy today first came to me disguised as a lemon. “If you can change the way you look at things, the things you look at change”. Categories: Uncategorized | Tags: children, faith, forgiveness, God, heaven, lemonade, lessons, Lord, love, mercy, promises, trust | Permalink. If there is one thing that Michelle my dear friend and mentor for over twenty four years likes to do is to pray big, bold, audacious prayers. Prayers that rock my spiritual world to its’ very core. Shaking its’ foundation with thunderous possibilities. Oh, don’t get me wrong I love praying larger than life prayers for others too, though my faith may be the grain of a mustard seed. This tiny seed of faith takes wings soaring with bated breath, watching mountains careening into the mighty roaring sea. Knowing with confidence God is able and more than willing to bless them. However, there are moments when prayers that are said over me wax bold and require wide-eyed faith tethered to tenacious trust. Causing my spirit to nervously gulp, while legs quake in my less then well traveled spiritual boots. How I long to grab a hold of the horns of the altar refusing to let go until the grand answer is revealed. Assured these powerful prayers have become a fragrant perfume sweet to the nostrils of God, stirring Him to my attention. Tipping the bowl of petitions until each spoken prayer becomes reality. Thus, releasing times of rapturous ensuing praise of my faith becoming sight. Sad to say, my faith is less then stellar at times, falling short of God’s glory. Determined daily to set my heart upon a deeper trust in Him, while finding enormous comfort that we serve a God that loves far beyond our failings. Our lack or wavering faith never changes the character of a loving and compassionate God. Thankfully, His grace and mercy shows up over and over again triumphing over seeded doubt or mustered up faith. Recently Michelle’s dauntless prayer came to fruition, unfolding before my very eyes. Through the years her fearless prayers were for me to have no regrets with my mother. For as the years went by, so to had my mounting tension and concern increased. Her deteriorating mental health issues loomed over our relationship….longing to help and her refusal wearied me. Michelle’s petitions for total reconciliation felt sorely beyond my grasp. However, she knew inevitably her requests were going to be answered. God had mended the breach between Michelle and her mother, He would surely do the same for me….and indeed He did, beginning through a whirlwind of events. For in April of 2012, within a 24 hour period, my mama went from living alone and driving, to needing around the clock care with a blown heart value and rapidly visible and increasing dementia. During the next three weeks I cared for her 24/7 until we could get her into proper adult foster care. My heart softening with each act of servant hood, every stroke with the hairbrush to her beautiful auburn hair, rubbing her swollen legs and feet, or being her memory as hers was growing dimmer. 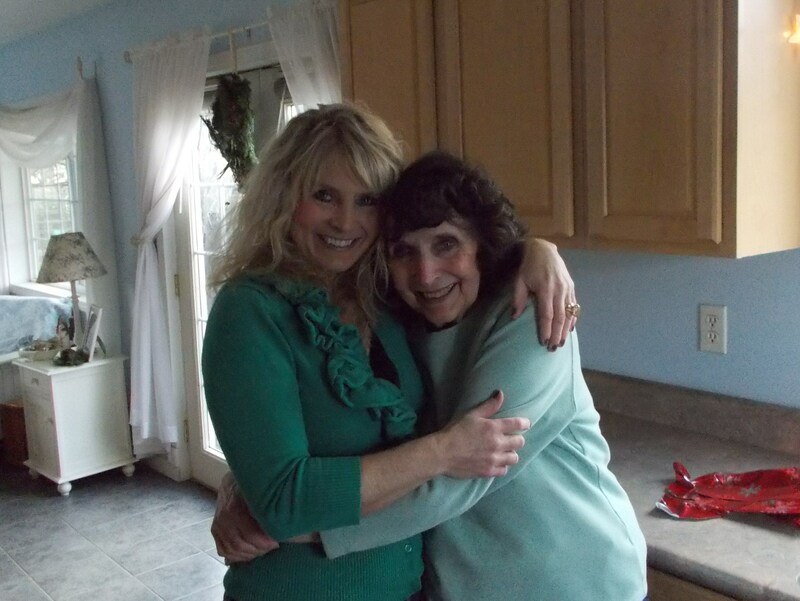 Slowly a deepening love and appreciation for my mother emerged. My initial frustration and anger vanished while her profound gratitude flourished; our love blossoming in the soil of adversity, blooming in spite of human frailty. God using ashes to bring beauty, answering prayers in ways we at times grapple to understand. As the dust unhurriedly settles, we reverently gaze upon the beauty of the Lord, standing in awe, humbled and profoundly grateful. God’s word declaring “Behold I’m doing a new thing, your going to have to see it to believe it. God’s splendid sense of humor allowing little old me to walk in liberating freedom of no regrets. From one that masters an impeccable hind sight of 20/20, and rather quick to bemoan her lack of foresight to have ordered the soup of the day instead. Has found herself smack dab in the middle of a full blown miracle, shaking her head in joyful astonishment. God’s grace is always sufficient in our time of need. Since God is no respecter of persons, what He did for me and my friend Michelle He wants to do for you. Whatever you may be contending with let God be your ever present help in times of trouble. Even if your faith is a little wobbly don’t you worry, your in good company…. so what do you say? lets go grab some front row seats and watch mountains be hurled into the sea, together. Categories: inspirational, Uncategorized | Tags: bold, confidence, faith, friend, Joyful, mentor, need, petitions, Praise, prayers. God. Mom, regrets, Spirit, trust | Permalink.